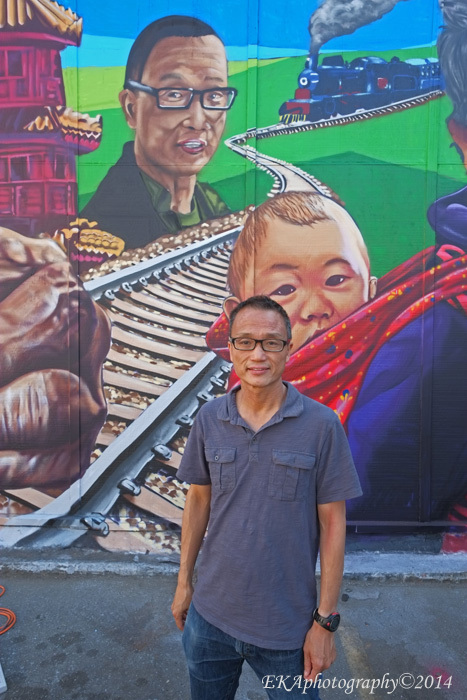 Recently, CRP pulled off a pretty cool feat: within the course of ten days, the Alice Street Mural Project received media hits from the Mercury News , Oakland Tribune, KQED, Oakland Mayor Jean Quan’s newsletter, Oakland Tribune (again), and the Contra Costa Times. That’s easily the most attention from local media CRP has ever gotten for any of the 150 mural projects the organization has done in the past four years. Even more impressive was what the media had to say about the project. Writing for the Tribune, Samantha Clark said, “Chinese dragons, African dancers, protests and historical scenes take shape in vibrant colors on once-blighted walls surrounding a parking lot. The Alice Street Mural Project is a mural and documentary about the intersection of cultures at 14th and Alice streets in downtown Oakland.The stories that documentarian Spencer Wilkinson and artists Desi Mundo and Pancho Peskador tell celebrate the Chinese and African-American residents’ history and resilience against displacement.” Clark’s article was accompanied by three full-color photos of Phase I’s three walls, with interactive multimedia identifying the historical figures—some of whom are still living—depicted in the mural. For KQED’s Visual Arts blog, writer Ben Valentine took a personal approach. 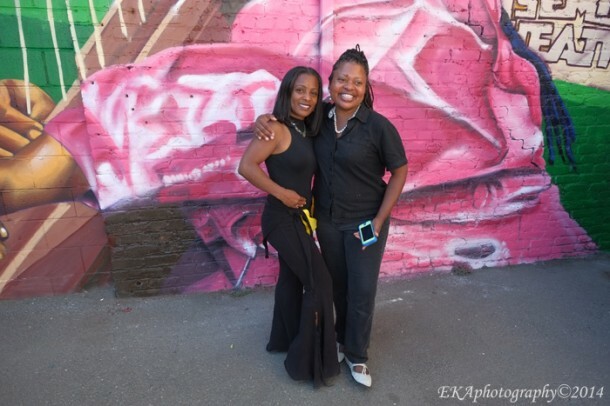 “I was taken by the beautiful colors, the personalities depicted, and also how many people were stopping to photograph the mural and talk with the artists. I’ve spent a long time in museums and galleries, so unexpectedly stumbling across such a lively piece was quite a joy for me. Seeing the community come out to watch the process unfold was exciting,” he said. 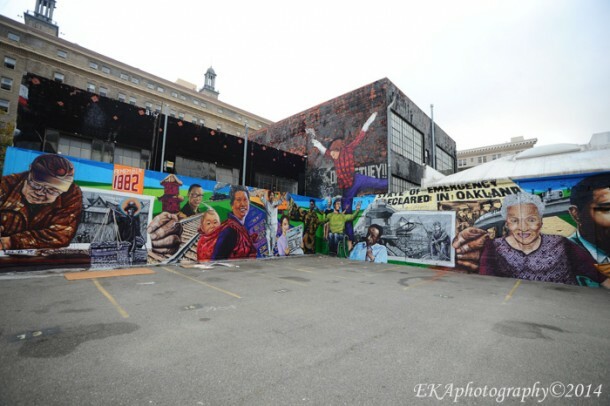 CRP is deeply appreciative of the media recognition and support, and it is the organization’s hope that this mural might represent a turning point for both public art in Oakland and public perception of the aerosol artform. Legitimate muralists who use the spray paint medium are often lumped in with rogue vandals who deface property without permission, lack the technical skills necessary to do large-scale murals, and don’t engage the community or seek input before painting. For quite some time, CRP has been saying that murals are not only an effective abatement strategy, and a viable alternative to simply buffing walls only to have them tagged again (and again), but a better solution than simple abatement, in terms of cost-effectiveness, long-term durability, and community benefit. 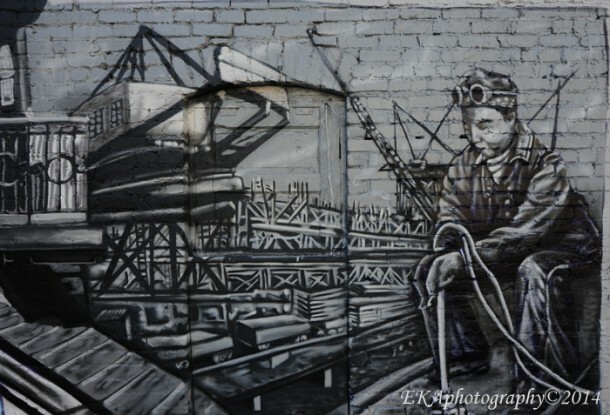 The Alice Street Mural – and all the positive press around the project – validates this belief. 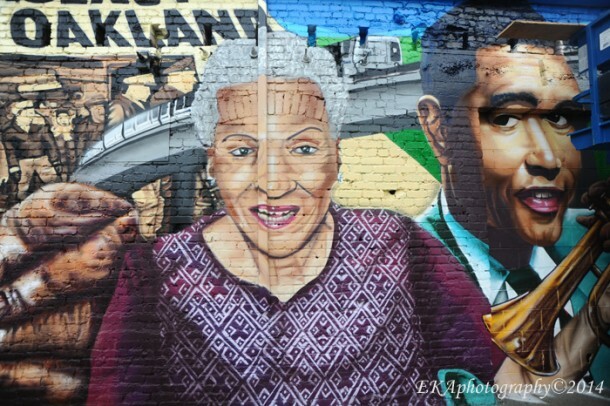 Moving forward, we hope the success of this project will lead to more large-scale murals being commissioned in high-visibility, high-blight areas.